I almost didn’t notice these in the store. It’s the same design as the regular peanut brittle sold at Walgreens. The only thing that gave me pause was the fact that they were in the Halloween aisle. They aren’t bad. There’s a mild pumpkin scent and taste to them. I prefer classic peanut brittle over this though. I feel that the peanut brittle formula shouldn’t really be messed with. Unless you can add bacon to it. OH MY GOD THERE’S BACON PEANUT BRITTLE. I hate Peeps. Don’t get me wrong. They are cute and adorable. I love that they can be snowmen, bats, cats, chicks, bunnies, pumpkins, hearts, gingerbread men, et cetera, but a marshmallow covered in sugar crystals? Yuck. Even as a kid, that never appealed to me. I think it’s great they come in all different shapes and sizes but there are better things to do with a Peep rather than eat it. 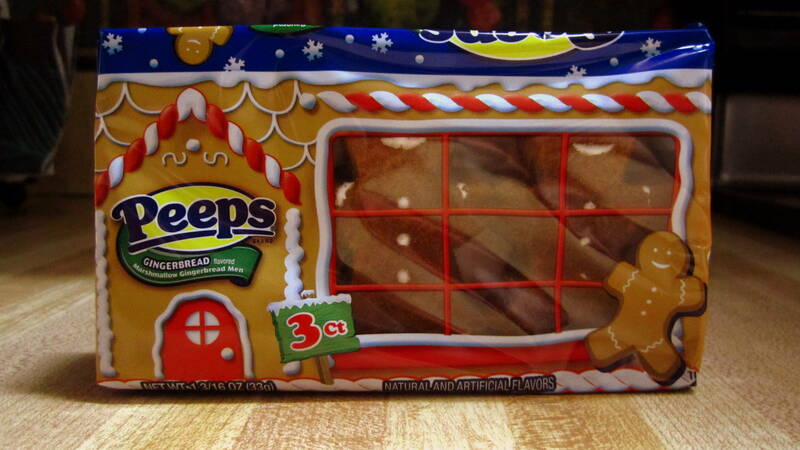 I don’t know if gingerbread flavored Peeps are new or not but they seem new to me and I had to have them. For science. 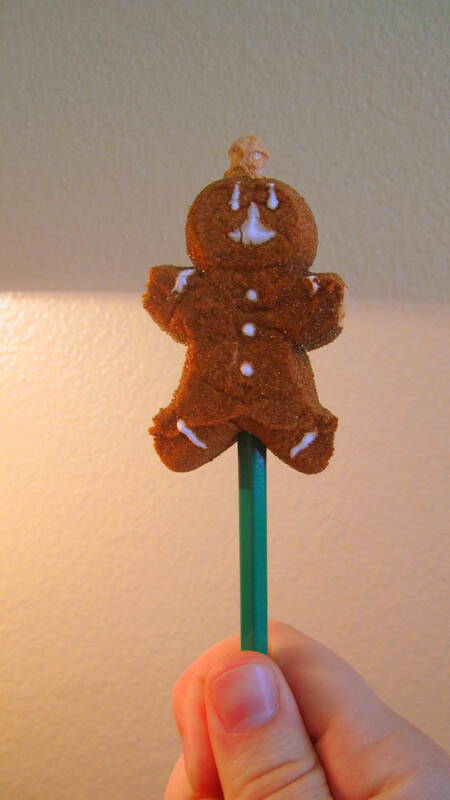 There’s really not much of a gingerbread flavor going on here. 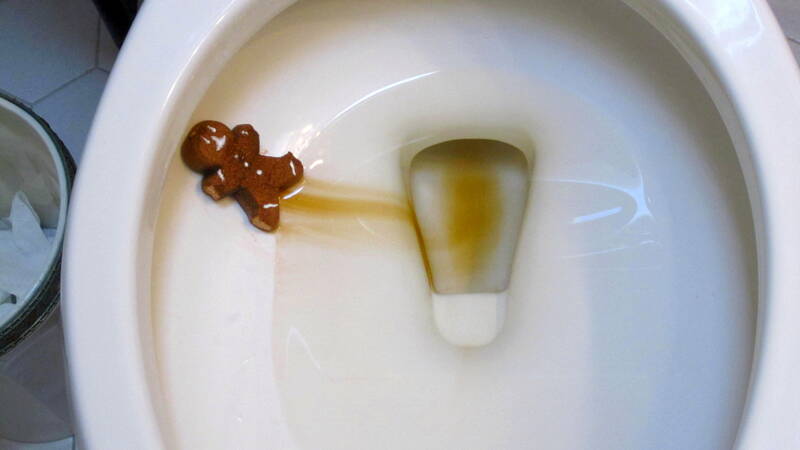 I think they were going for a gingerbread scent as well but it comes off more like graham cracker or brown sugar. They even taste like brown sugar. 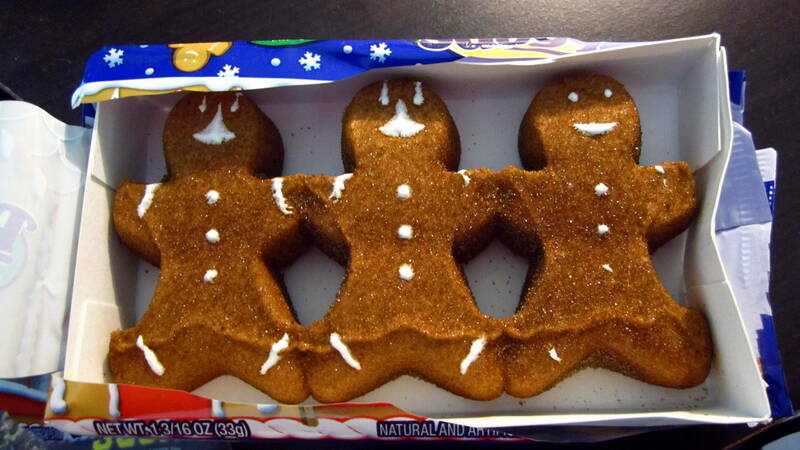 Of course, I might just be thinking that because, quite simply, these things are brown and sugar. 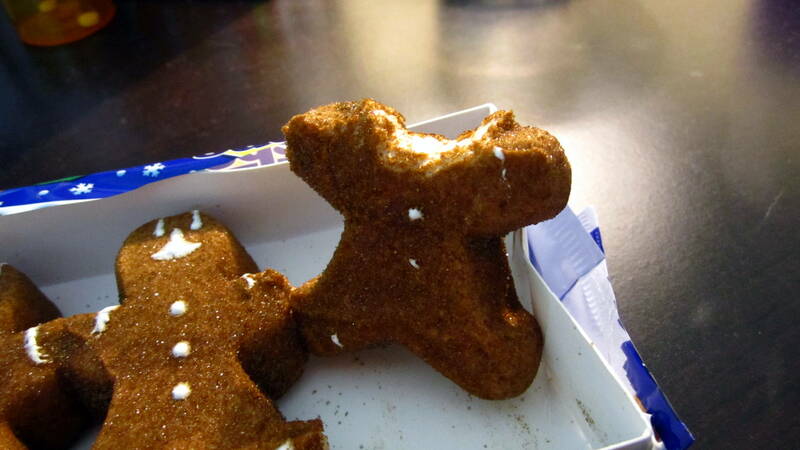 In the Peeps tradition, these are not very satisfying and the gingerbread flavor can’t measure up to the gingerbread flavored Flipz. So I decapitated the last living Peep because death always comes in threes.